There’s no denying that South End is the most dynamic area in Charlotte right now. With the potential exception of Uptown, it’s also the fastest-growing. Over the last 10 years alone, South End has transformed from a residential-leaning no man’s land into a transit-accessible commercial juggernaut. I want to take a deeper look at how South End became the darling of local and national media and, more importantly, what challenges lay ahead for its explosive growth. In the not-so-distant past, South End was a somewhat dangerous industrial district. And when I say “dangerous,” I don’t mean having to walk an extra block for a macchiato…I mean actually dangerous. My family had a business in the pre-light rail and pre-hyper-developed South End. It was located essentially where Wooden Robot today makes some of the best beer in North Carolina, but back then, we could not keep a Coca Cola machine inside the building. Thieves would break in to steal nickels and quarters on nights and weekends! One of my family members tells a story of watching a fight – involving gunshots! – while sitting in the Bojangles drive through near Wilmore. “Give me a Cajun Filet Biscuit or give me death,” I say. Anecdotes aside, today’s South End is a millennial playground. Eden’s project, Atherton Mill, as well as Asana’s Design Center and Cousins’ DFA headquarters will even further transform the landscape of a once sleepy part of town. Now you can’t walk twenty feet without running into someone with a handlebar mustache holding a craft beer. Looking back, the redevelopment of a few large commercial projects could be described as the “turning point” for South End. Thousands of new apartments seeded by liberal zoning restrictions for density along the LYNX light rail corridor have been a huge boon for South End. These 3-5 story residential buildings started popping up around 2007/2008, just when the LYNX light rail’s Blue Line commenced service. From Uptown to Old Meck Brewery, new commercial developments are now popping up in the district every week, many accessible by public transit or B-Cycle. You’ll have to forgive my excitement now that Charlotte heavy-hitters like Beacon Partners have seen this area’s potential and are putting down deep roots in the neighborhood. So, now we have beautiful and upwardly-mobile young people eating/working/playing in what is essentially a master-planned experiment in mass transit. South End is a shining example of new urbanism and targeted zoning for redevelopment that actually worked. We also have REAL retail shops breaking the long-held shackles of SouthPark real estate. The lack of this retail, specifically, is exactly what people living near Uptown will tell you is the missing piece in taking “downtown Charlotte” to the next stratosphere, but I digress. We have highly-sophisticated developers spending hundreds of millions of dollars to increase density and amenities in our urban core, and they’re jumping into South End headfirst. Sounds like Shangri La, right? While there’s a lot to cheer about South End’s transformation, I want to look ahead at potential challenges that the ‘hood will face in the near- to mid-future. And no, I don’t mean your favorite burrito place going out of business. It is highly unlikely that anyone on the planet spent more time in Phat Burrito than I did over the last 15 years, but a fast casual restaurant falling victim to parking changes is not a portent of doom for a neighborhood experiencing rapid development. Let’s talk tough. Here’s what South End is facing headed, issue by issue. Obviously, South End is “well connected” because of its light rail, proximity to Uptown, etc. As a pedestrian, though…not so much. Walkability along the light rail is terrific because of the well-thought out and popular Rail Trail. Outside of that, however, there is a startling lack of sidewalks and a missing walkable grid that will eventually need to be improved through public private partnerships. Think of it this way: A major strength of Southesnd is its connectivity to Dilworth. Dilworth has the affluent population that retailers love, but those same residents are unlikely to put their lives at risk to sprint across South Boulevard, Frogger style. South Blvd. is a major vehicular artery that isn’t going anywhere anytime soon, as is South Tryon Street. These roads will inevitably hinder South End’s sprawl and push development away from Uptown. We’re already seeing this in Scaleybark and Lower South End (LoSo) developments. A lack of planning regarding walkability could be a potential challenge to making South End as dynamic as it could be. The median income on the eastern side of South Tryon is more than double that of the western side of the street. “West” South End has long been one of the lowest income areas in the city and while the development on South Boulevard is steadily raising its income levels, it’s a slow transformation that will continue over a number of years. High profile retailers are driven by demographic income studies that take these kinds of numbers very seriously, so the pace of retail growth in South End may not keep up with the pace of residential expansion in the short-term. To some, South End still feels like the little brother tagging along behind his big bro’. South End may be growing fast, but many large-scale retailers wouldn’t dream of suggesting to their board of directors that they should take a risk on South End. Most people don’t like to take risks because risks are a good way to get fired. And I get it: His customers are wealthy and his products expensive. His current customers live in and around SouthPark. Now I believe his current (and future) customers want to be cool and go where the action is, but that’s not something I can demonstrate to him on a graph or spreadsheet. Until this case study of new urbanism called South End is a little more mature, I’ll have a harder time winning that argument. 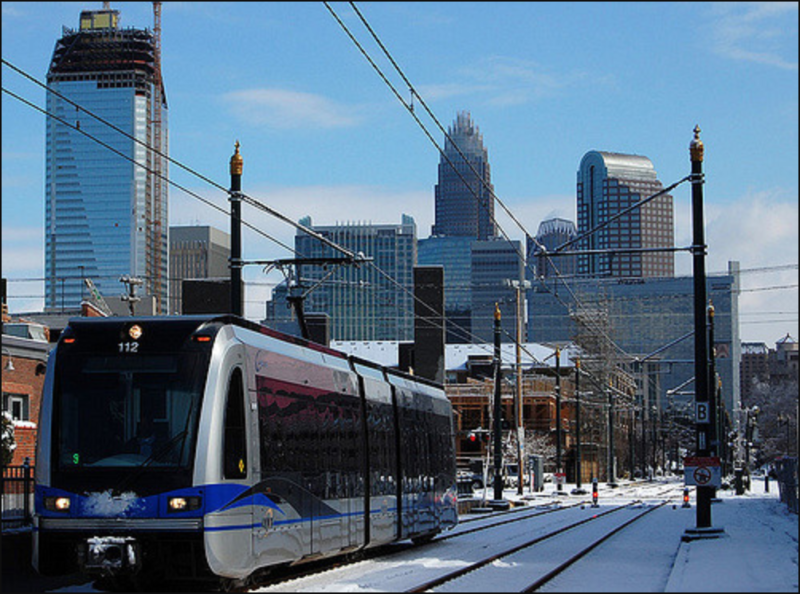 South End is a vibrant, dynamic part of Charlotte. If it’s growth over the past few years is any indication, there’s nothing but good things ahead for this little slice of the city. I believe it is. opportunities and limitations of South End? Reach out to Adam Williams of Legacy Real Estate Advisors today.